You have “so much” to do and not enough time. You have people to call back, emails to write, friends who want to talk. In addition you have gifts to buy, things to do and not enough of you to go around. What do you do? When you force yourself to connect with others and do things that are not in line with your true heart’s desire, you build resentment and perpetuate inauthenticity. Tune into yourself, listen to your inner voice of truth, and make a commitment to give yourself a gift of “you.” See if any of the following can help. Hide Out: This means to put your phone on silent, and give yourself permission to take an hour or a day for yourself, doing what you want to do. When you have a mindset that says “I have to satisfy everyone else according to their expectations of me,” ask yourself if their expectations have expanded beyond reasonable. If you are no longer the same person that is “happy” to do those things, be thankful for this new awareness, and give yourself permission to enjoy your life. The new mindset to adopt? “Everyone else’s expectation is not my problem.” Affirm this daily. Your life really is yours to live as you choose. Strengthen your “so what” attitude: If you are the type that tends to feel that you need to connect with everyone and be there for them, let yourself be more in tune to whether or not someone really needs your attention and valuable time. So what if her boss said “this” or her mother-in-law did “that” – their need to engage with you will pass if you let it, and you will have saved some valuable time. 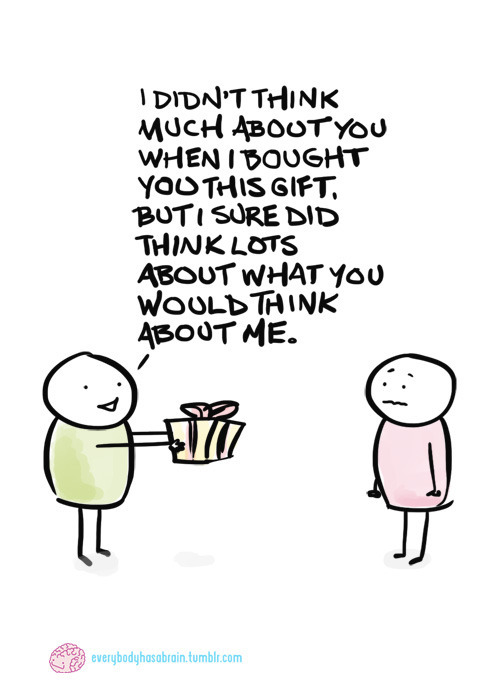 Sometimes the best gift you can give yourself is a bit of insensitivity. Say no to the Octopus people: Some people call them “mana suckers” – and you know who they are – the ones who have a lot of tentacles of emotional clinginess. They may seem like they are very “go with the flow,” but once they get their grips on you they don’t let go. They are great at putting the guilt trip on you, and making you feel obligated to help them out or listen to them. Seriously, if you are giving more than getting, it’s time to unentwine, even if it’s a family member, and limit the time you spend on any low yield relationships. Memorize some handy lines: The more overwhelmed you are, the more likely you become worse at setting boundaries, so having a few “lines” in your mind ready to say, will help you conserve your energy when requests for your time and energy come your way. Set Limits: Being that it’s the holiday, it’s a good time to set a limit on what you will spend on others, and base it on what works within your budget. You still have time to let go of your gift-giving obligations if you are ready – see my last blog ‘Gift Giving Ugh” CLICK HERE, however, if you are not ready to do this, at least set some limits. When you overspend to make others happy, it results in misery for you when you get your credit card bill in January. Instead, focus on the quality time you can devote to those you care about. Remind yourself that showing your connectedness with others is not correlated to the amount of money you will spend. If you have children, doing this will set a good example for them since they will tend to copy your behaviors. It may seem incredibly challenging to change your ways. However, a good start is just to pick what resonates most and make a choice to stick with it. It will be worth every ounce of energy you put into it because your reward will be the gift of yourself, and a savings of your precious energy. Holiday Gift-Giving UghDo You Want to have Greater Meaning in Your Life?